Among the first generation of original Morey Boogies to hit the market, the Mini 136 was a small scale version of its big brother from the same year. Measuring approximately 36" long and 14.5" wide, the Mini 136 was primarily made as a board for kids and smaller riders. Small scale versions like this date back as early as 1975 with the Mini 132. 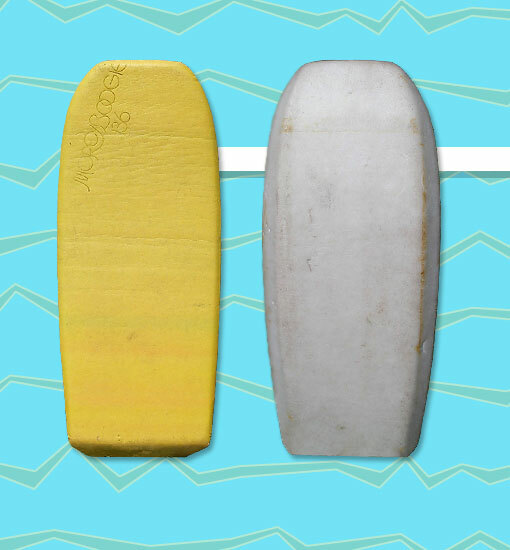 Like other early Morey boards, the construction consisted of a shaped foam core with a polyethylene top skin.